Home/Uncategorized/9 Easy, Effective Ways to Manage Oily Skin! Under certain circumstances (such as genetics, stress, hormones, poor diet, etc. ), your sebaceous glands may become exacerbated and start to produce excess sebum. That’s when you’ll notice your skin becoming oilier than usual. While there are many products on the market targeting ‘oily skin’, it’s best to find ways to manage your oily skin by taking a holistic approach. You can adjust your skincare routine to make it work in your favor! Having oily skin means that you must take hygiene seriously. Dirt can easily stick to the oil found on your skin, and when dirt + oil get trapped in your pores, it’s a recipe for disaster! You’re literally setting the perfect scene for bacteria to multiply and grow, and make your skin more prone to acne breakouts. Keep your skin clean by using a mild face wash to cleanse your face in the morning and at night. After cleansing your face, you’ll want to follow up with a face toner. Avoid toners that contain alcohol. Alcohol can dry out your skin and cause your sebaceous glands to overcompensate by producing even more sebum. An alcohol free toner is great to help soak up any excess oils and helps balance out your skin’s pH levels. While many people believe that moisturizer will make your skin oilier, that simply is not true! In fact, it’s quite the opposite. If your skin is not adequately hydrated, your body will produce more sebum to try and make up for the loss of moisture and to help retain what little moisture is still there. It’s important to keep your skin hydrated so it can combat dryness and resist environmental damage. Certain face masks are beneficial at treating oily skin. Clay masks in particular, absorb excess oils and draw dirt from your pores. If your skin tends to be on the oily side, try using a clay mask once per week. Non-comedogenic products ensure that your pores won’t get clogged. If your pores get clogged, your sebaceous glands go into overdrive and start producing more sebum; the very thing you want to avoid! As aforementioned above, products that clog pores are not recommended for oily skin. That means you’ll want to ditch the heavy liquid foundations. 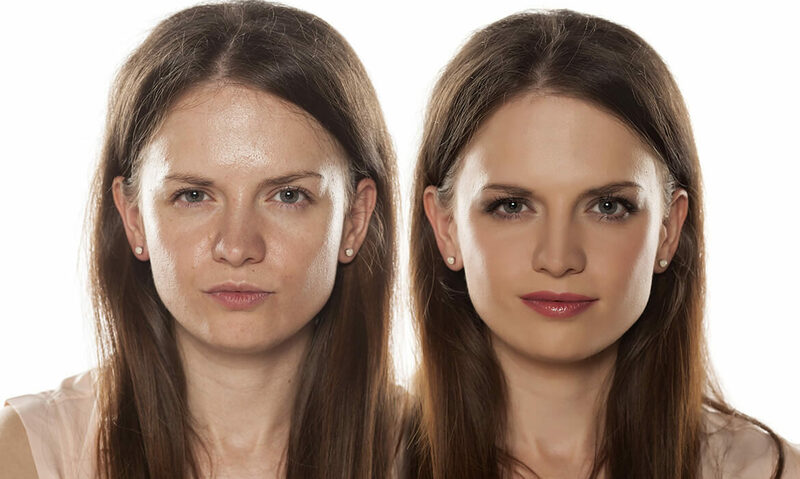 If you must use foundation, opt for a light coverage powder foundation. These blotting papers are a must if you have oily skin! They are literally lifesavers!! Not only will they soak up excess oil on the surface of your skin, they will also leave your makeup undisturbed. YASSS girl! This sounds a little extreme, but there’s reasoning behind it! The more you touch your skin, the more it will stimulate your sebaceous glands to produce sebum. Also, touching your face exposes your skin to dirt & bacteria. That’s a big NO, NO! And finally, this should go without saying, eat nutritious foods. What you put in your body does affect your skin’s appearance. Eat healthy fats such as those found in fish and nuts. Avoid processed foods. Drink plenty of water!